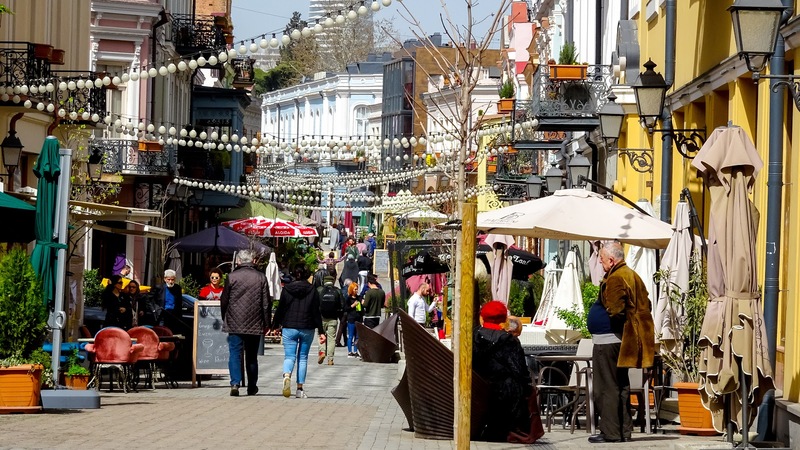 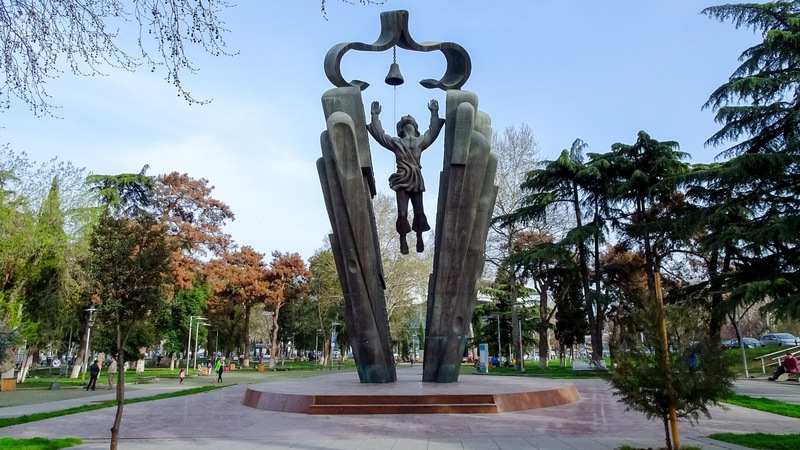 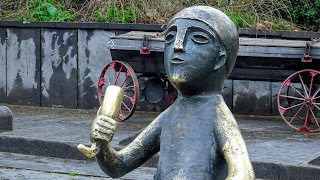 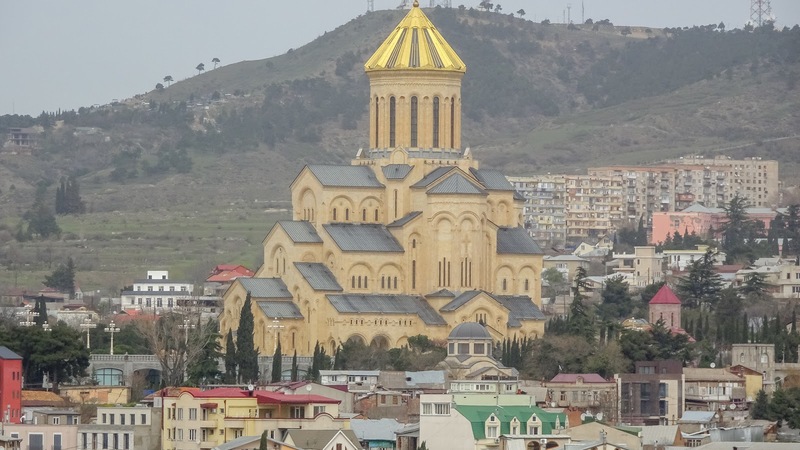 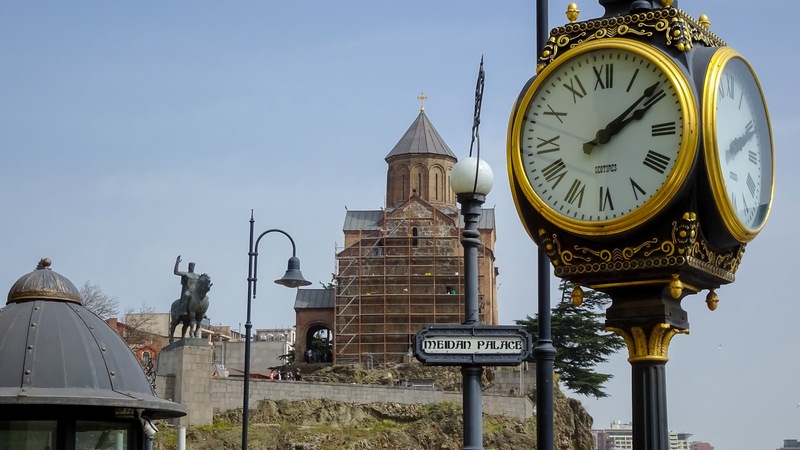 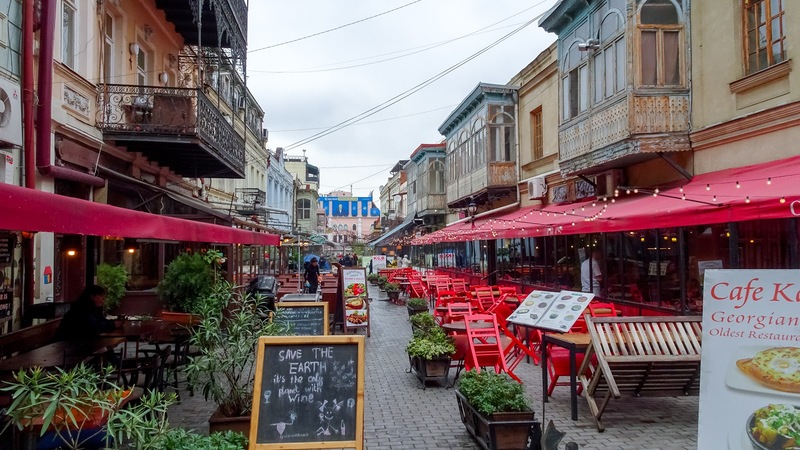 Home / Europe / Georgia - Why is it off the tourist radar? 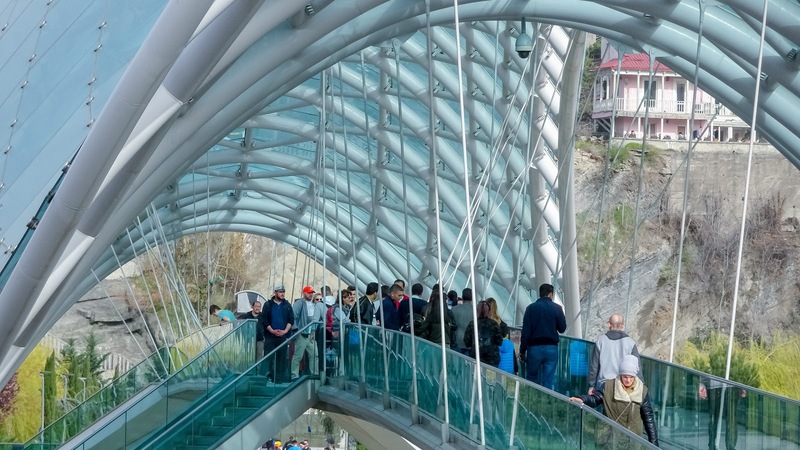 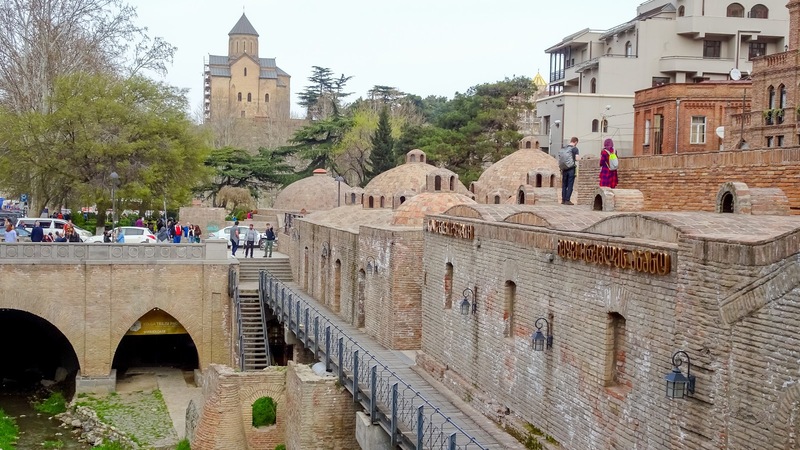 Georgia - Why is it off the tourist radar? For me, flights to Georgia were rare and inconvenient and arrival times very ugly when flying into Georgia. 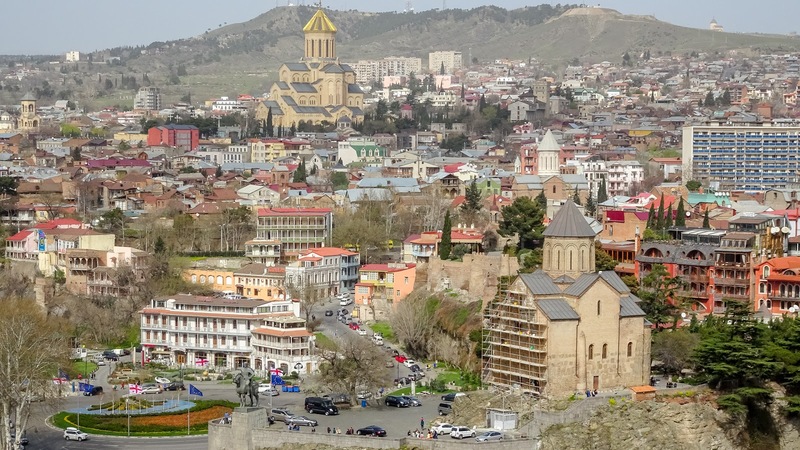 There is still the situation that in western Europe aren't many direct flights going to Georgia or the Caucasus area in general. 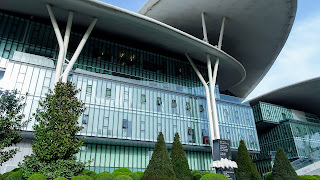 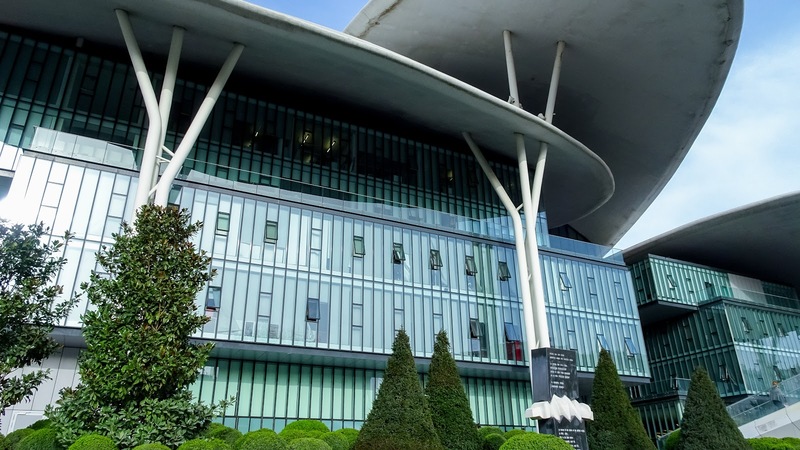 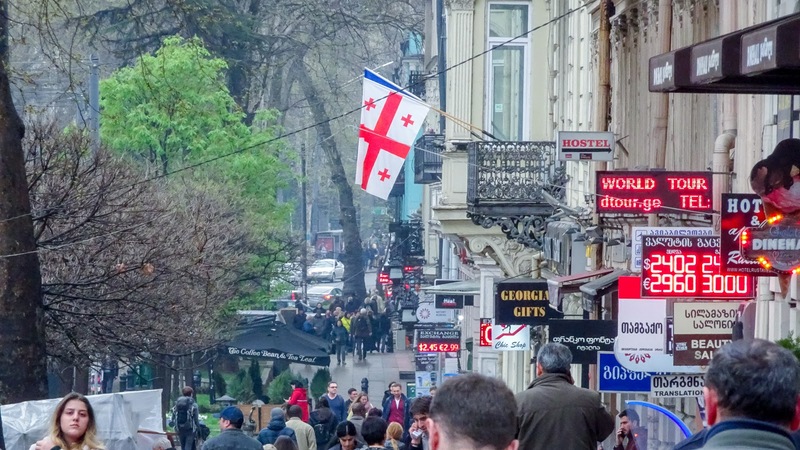 Surely this is going to change as Georgia is being promoted as a top destination by more and more agencies in the travel market. 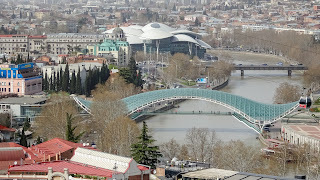 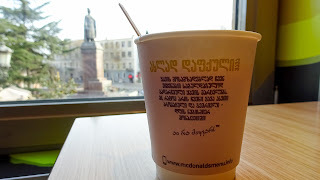 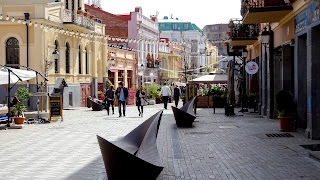 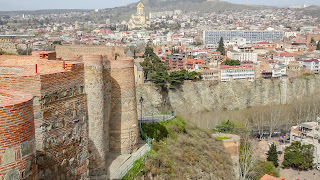 From what I have seen in Tbilisi, I found it is indeed a great city. 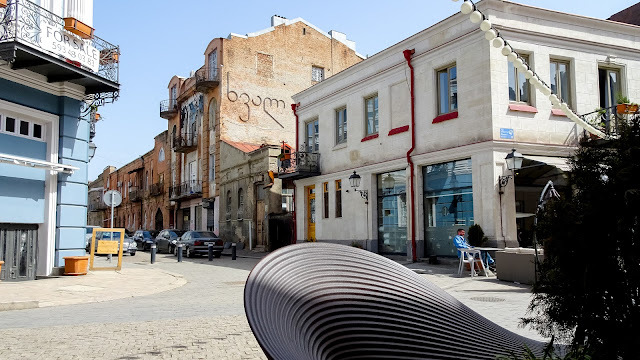 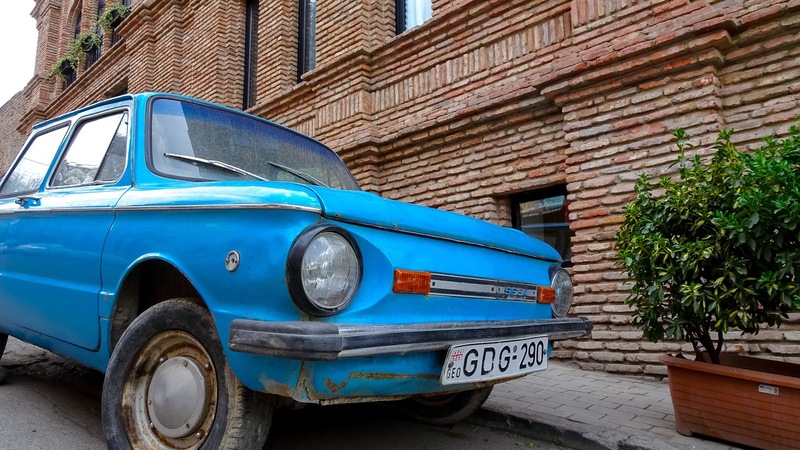 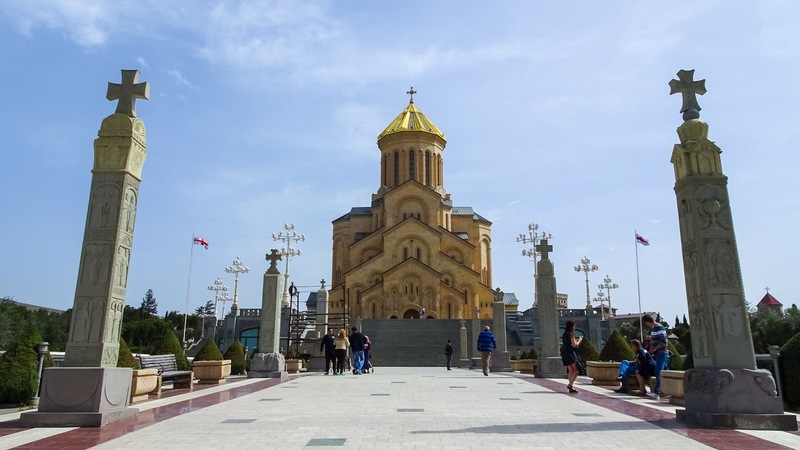 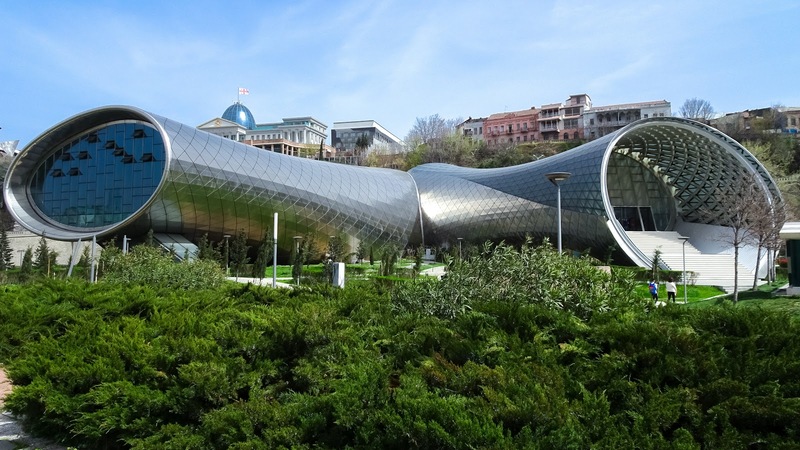 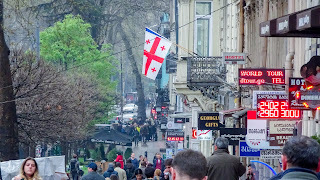 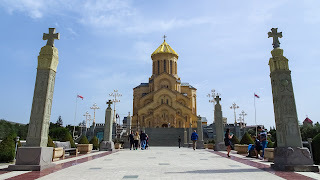 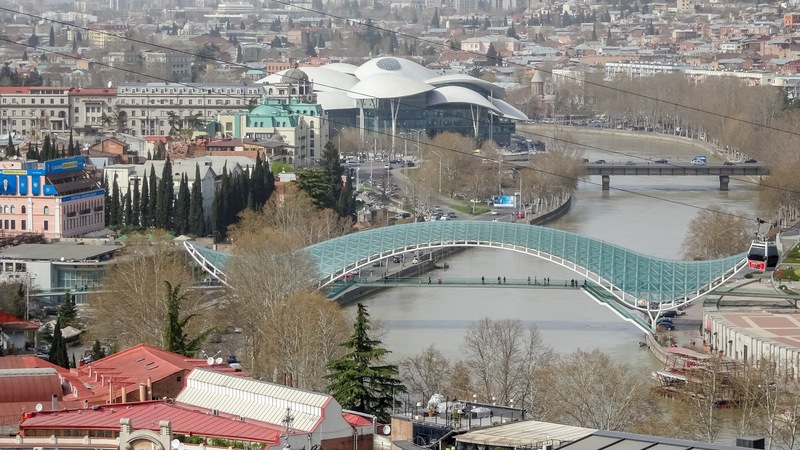 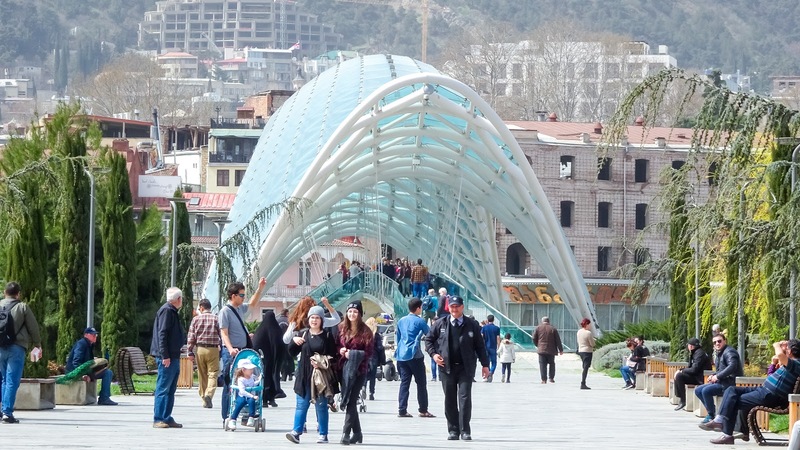 Of course, there are many other places to see in Georgia than only bigger cities like Kutaisi and Tbilisi. 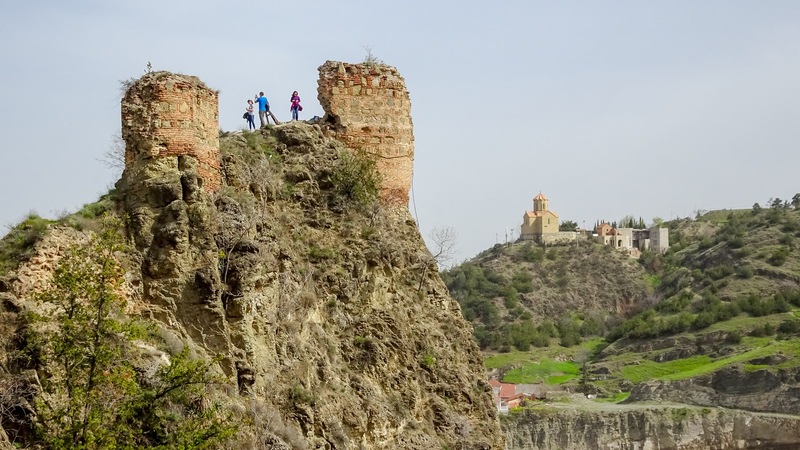 It literally boasts with all these small castles and fortresses which were built on small mountains with a magnificent view of rivers or landscapes. 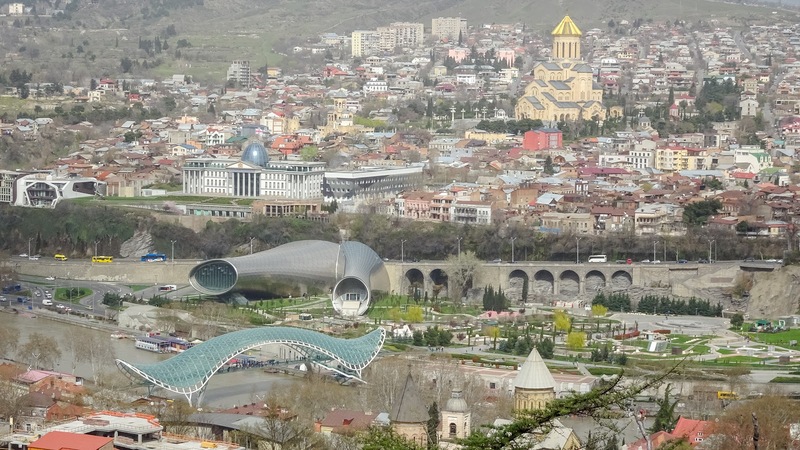 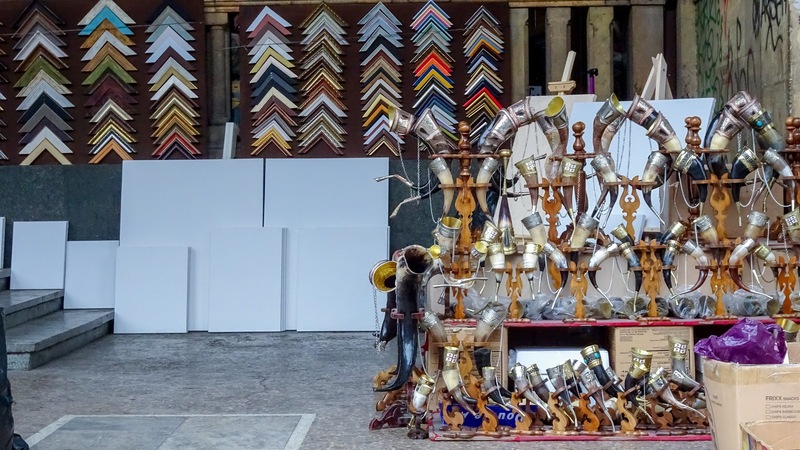 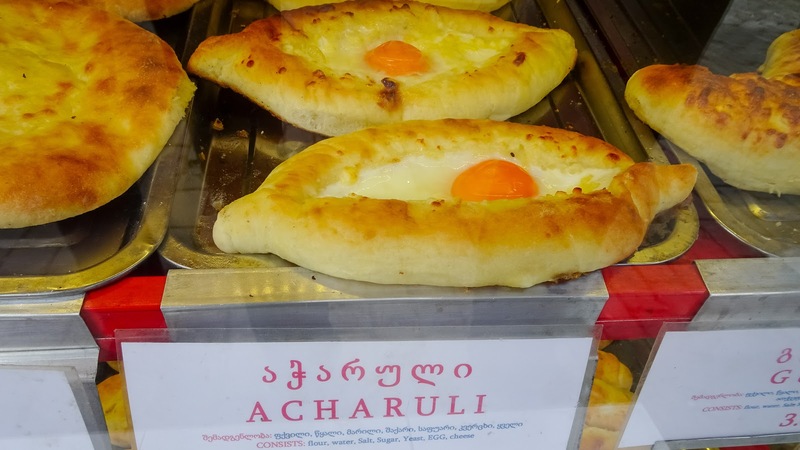 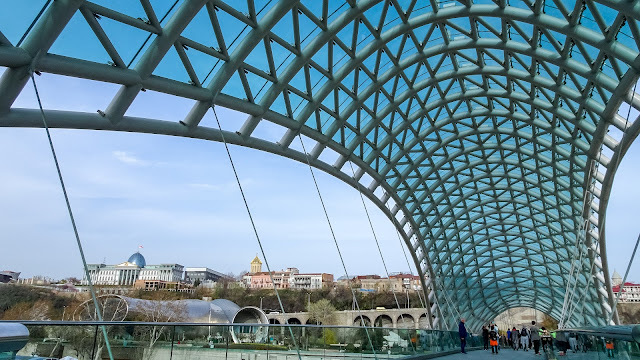 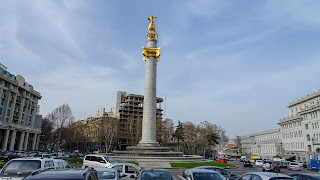 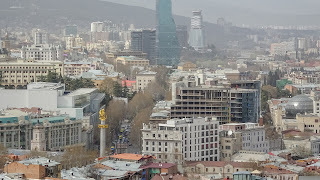 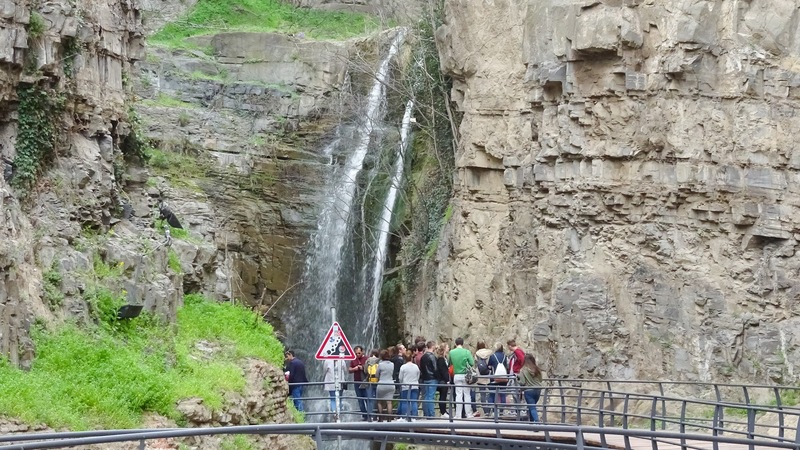 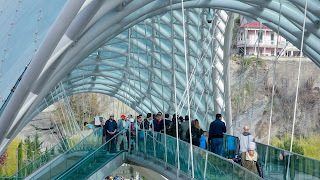 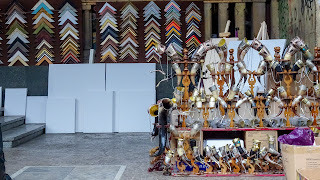 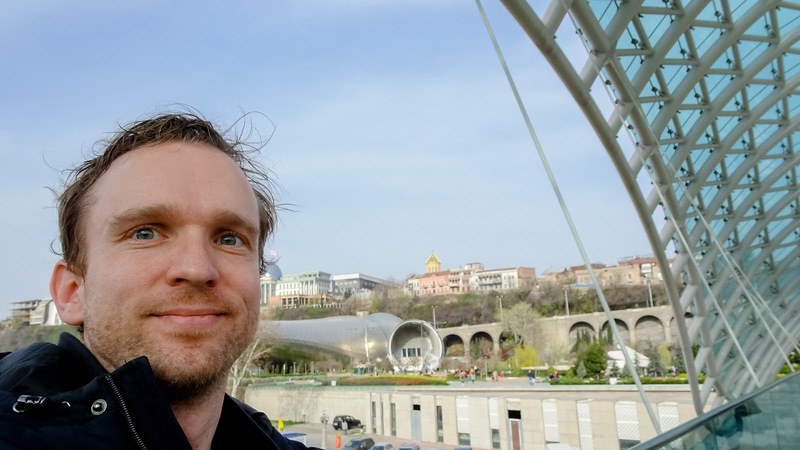 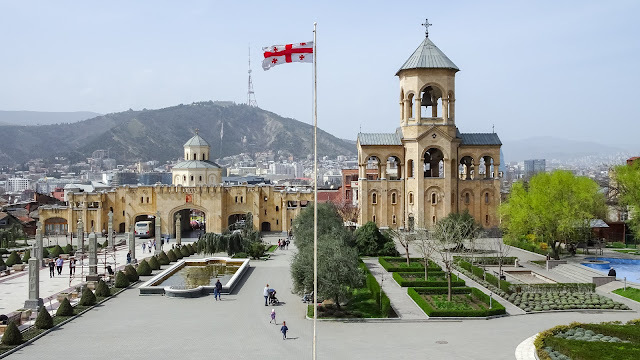 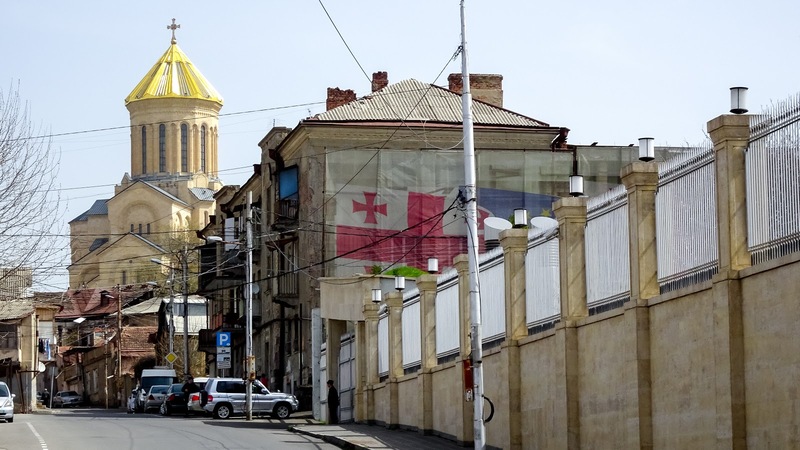 Came to Georgia before the Easter weekend and as I had in total four days available, I combined the trip and added a short visit to Armenia's capital Yerevan. 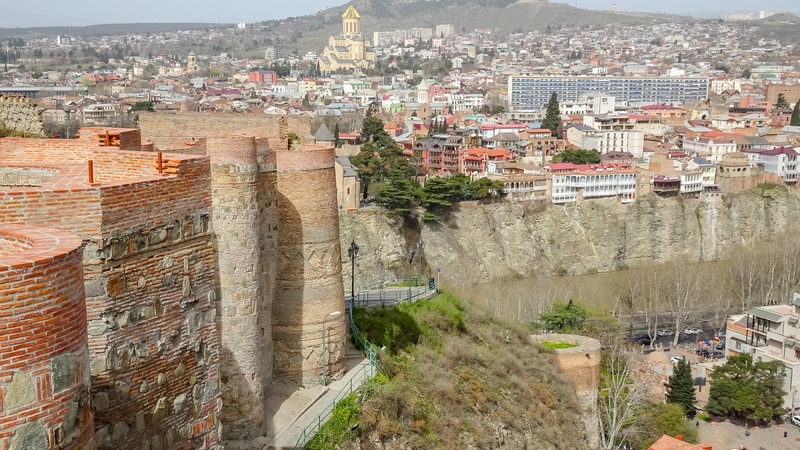 So the itinerary was two full days in Tbilisi and then I will take the night train to Armenia. 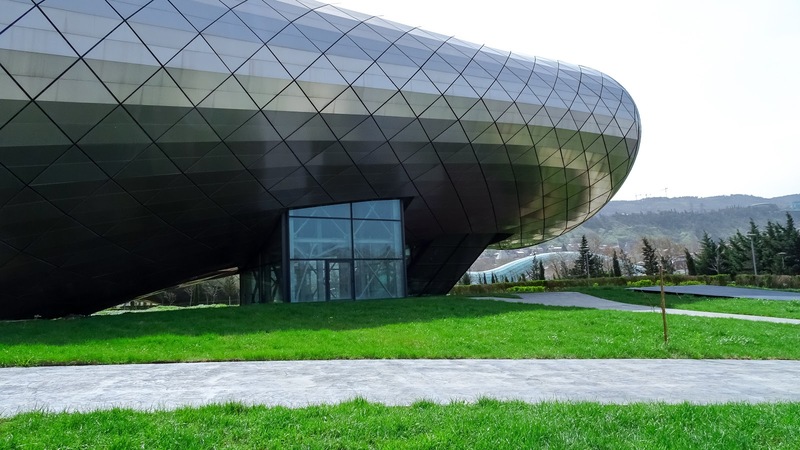 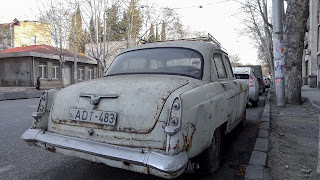 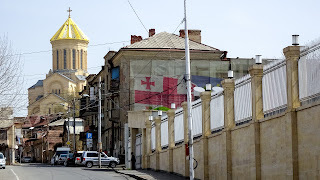 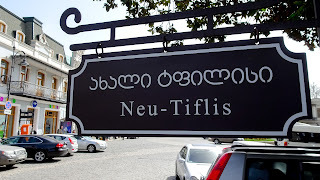 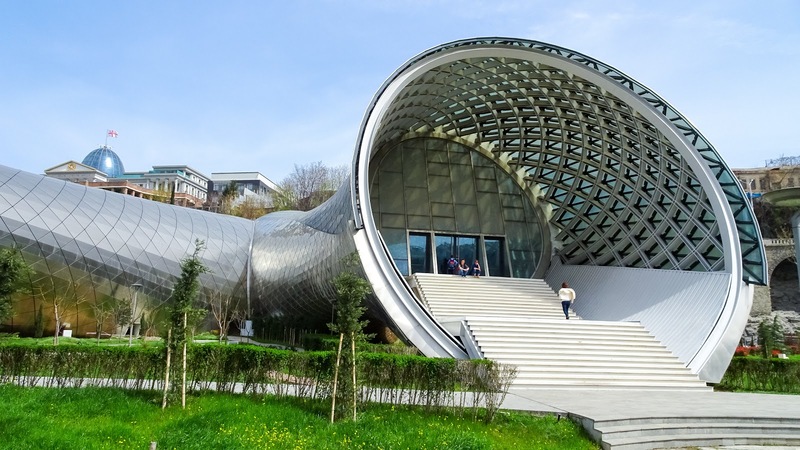 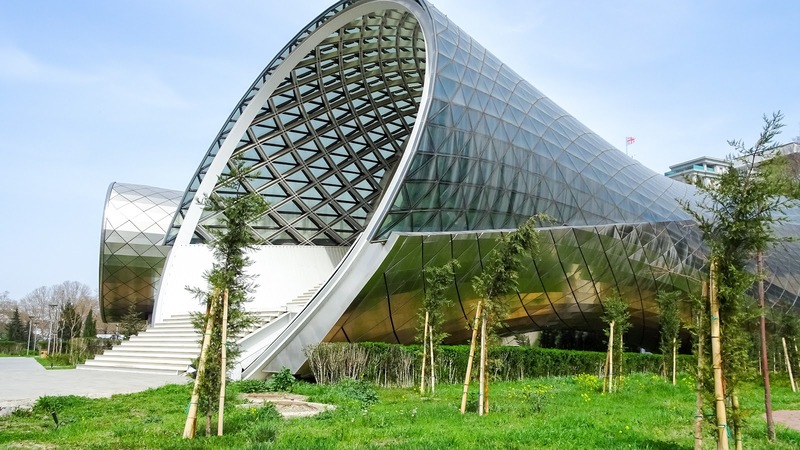 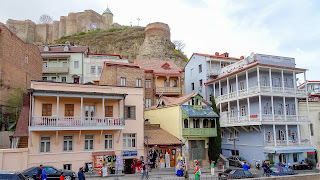 Originally I planned to visit the two cities Kutaisi and Tbilisi, but then cut it down to only visit Tbilisi. 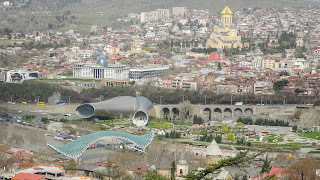 My flight arrived this morning early as 3am in Kutaisi and so I changed my plan from first going to Kutaisi, to directly going to Tbilisi. 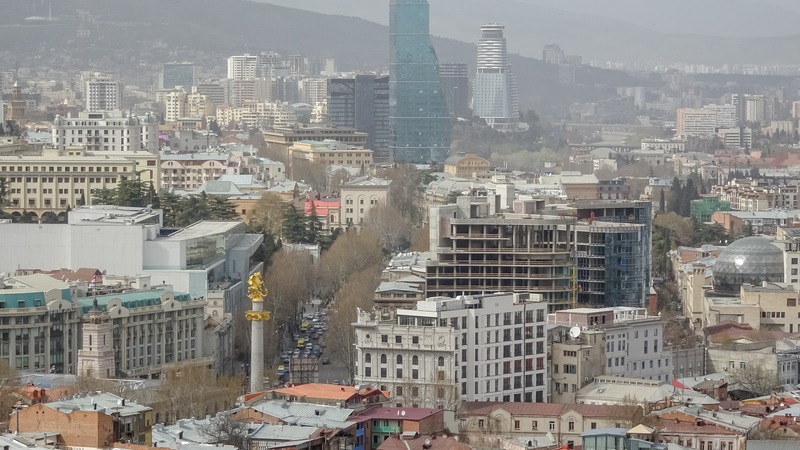 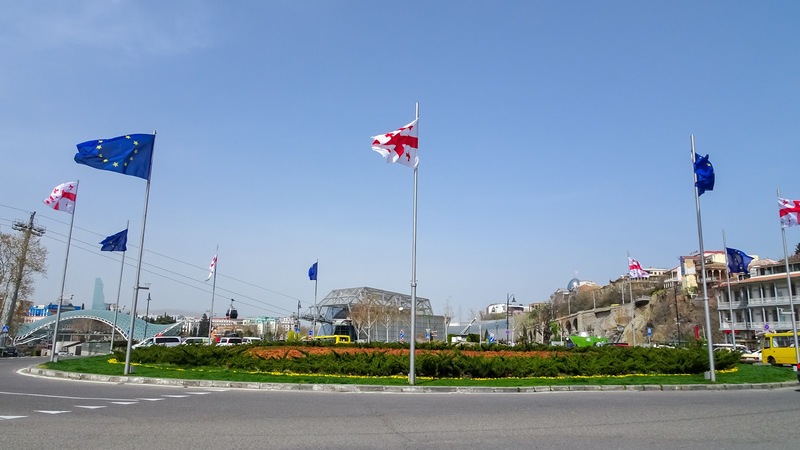 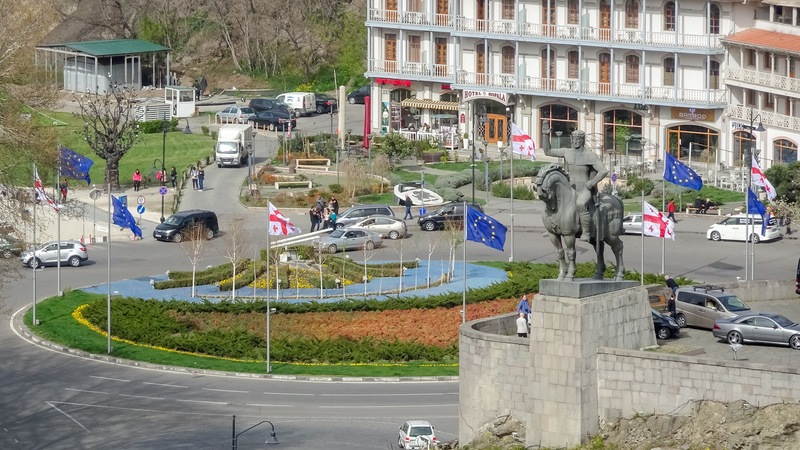 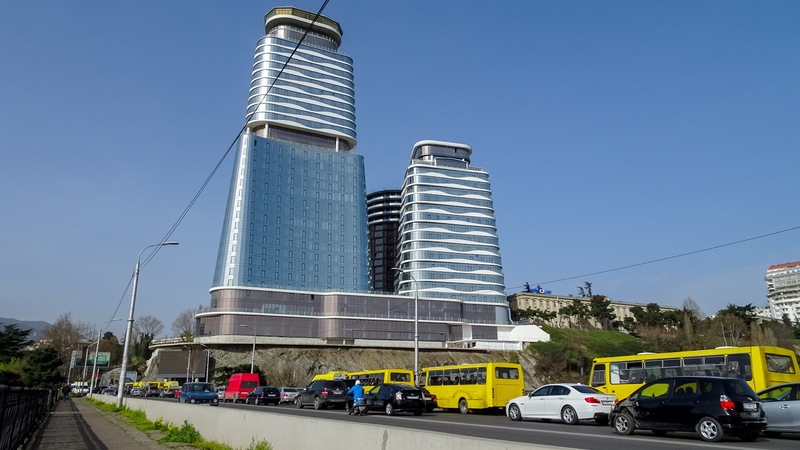 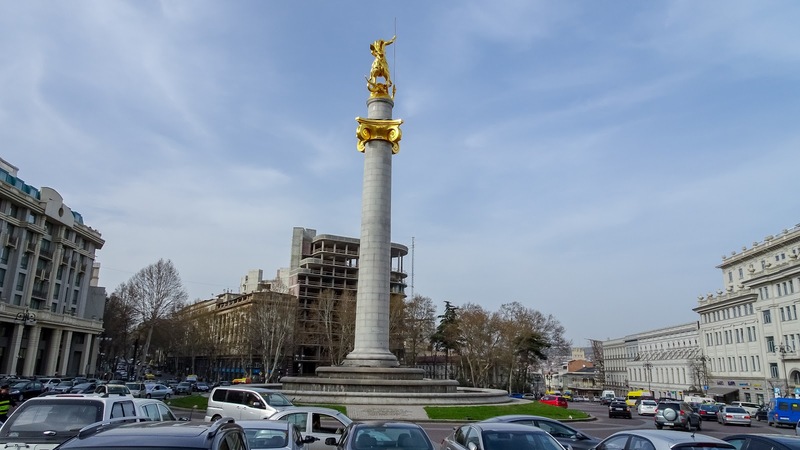 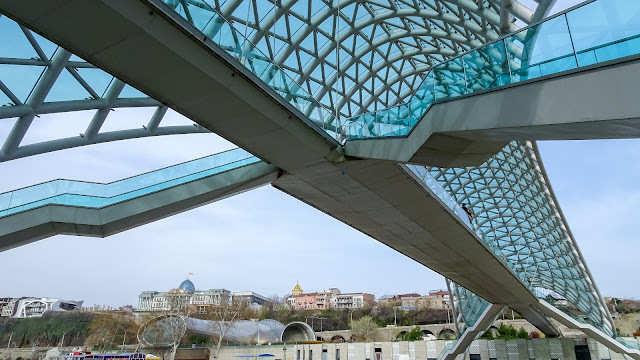 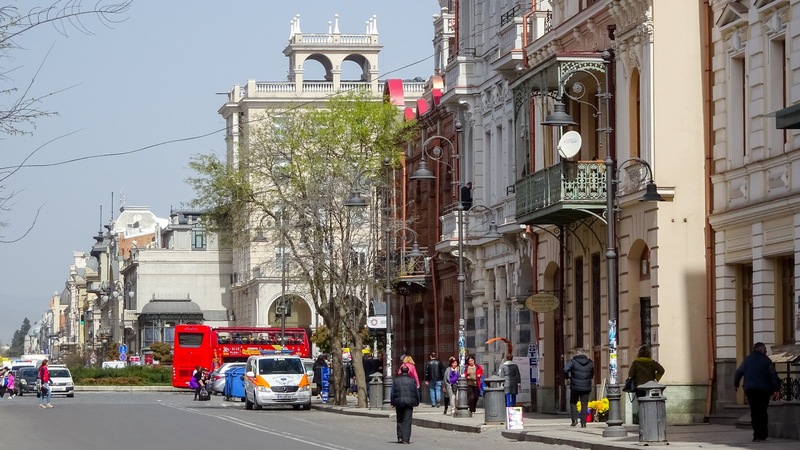 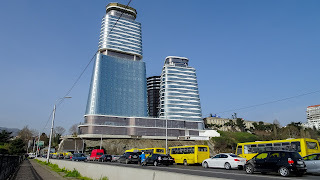 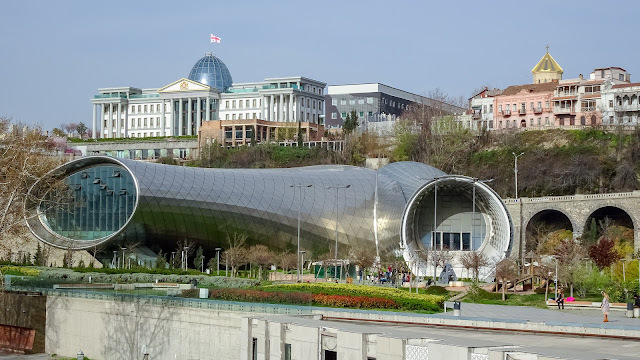 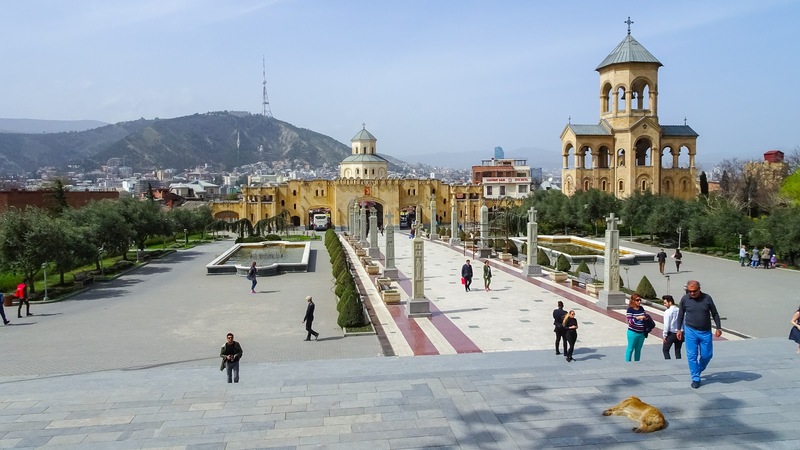 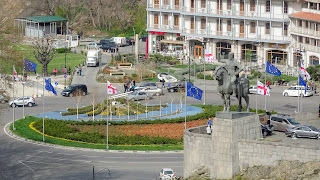 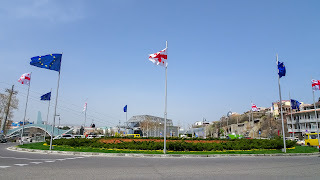 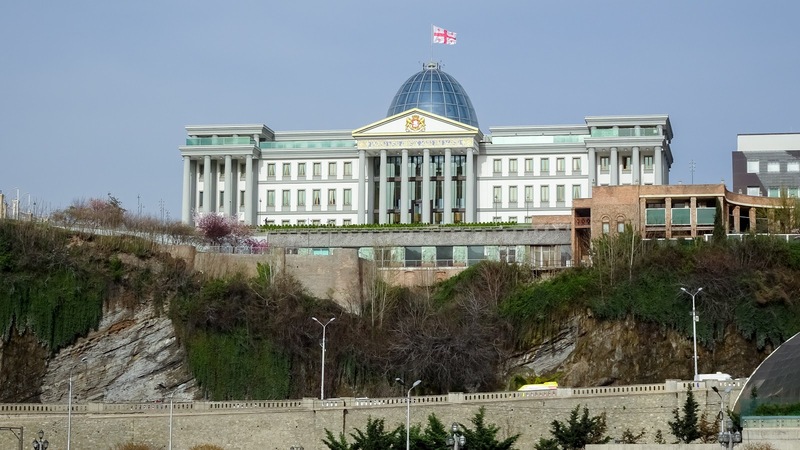 There is a bus that only waits for this specific flight to arrive and then brings the passengers directly to Tbilisi city center at the Liberty Square. 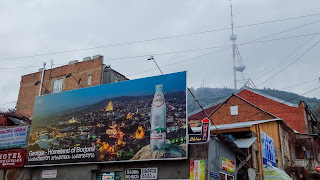 It was a four-hour bus ride in a comfortable big bus with lots of leg space, however, it didn't stop and also it doesn't have a toilet on board, which can become a tricky situation when having drunk too much water on the plane. 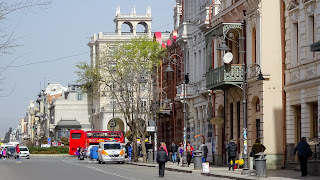 The bus is operated by Georgian Bus and the ride only costs 8 Euro. 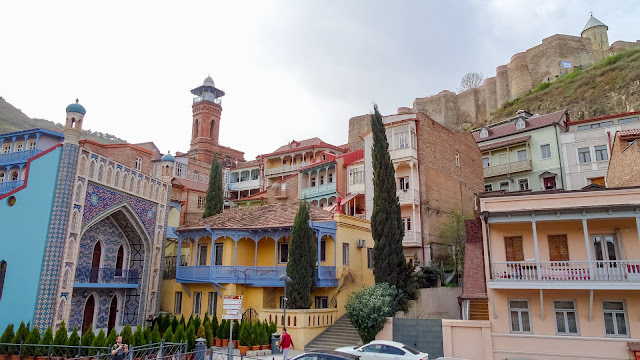 So this early morning I arrived in Tbilisi and thankfully the hotel lets me put the luggage there so I could start taking a look at the city. 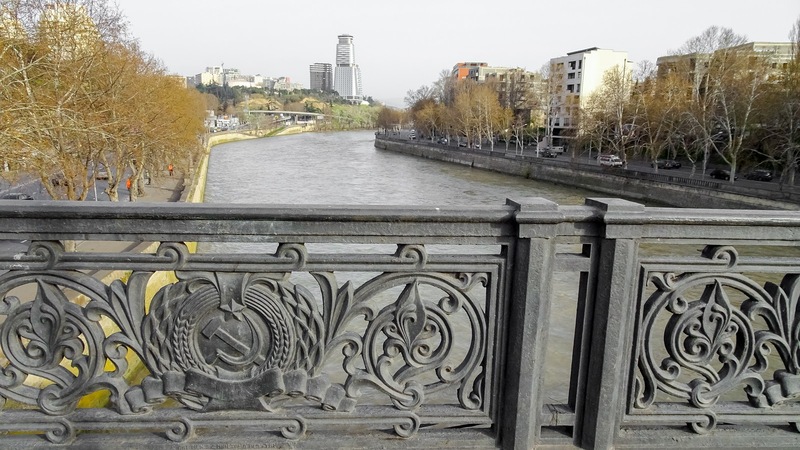 Some bridges still have their signs and marks from the Soviet times. 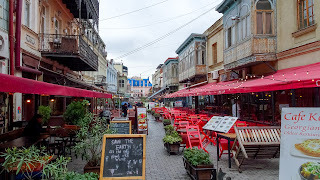 There quiet a few areas with lots of restaurants outside of the old town. Definately didnt expect that. 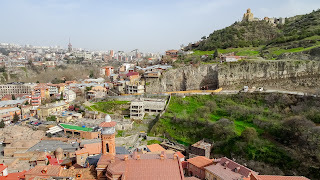 Up at the St. Trinity Cathedral which is up some little hill and made me sweating walking up there. 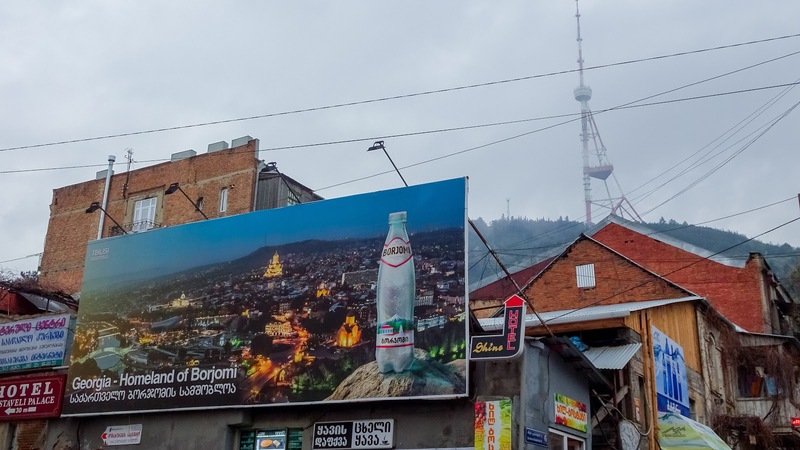 But no wonder when hiking up there with a winter jacket. Presidental Palace. 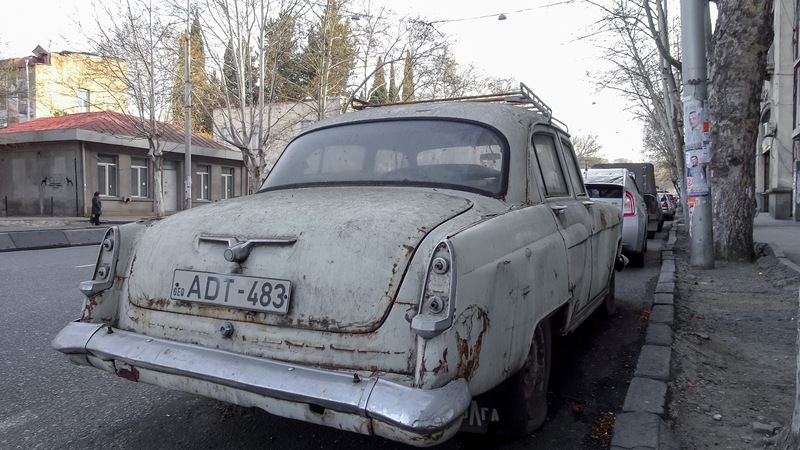 No, not the one in the front, the one in the background. In the front is the Rhike park which is an auditorium and great to take a look at it. The city center wasn't that compact as I expected it to be and visiting this place in only one day can be a bit of a challenge. 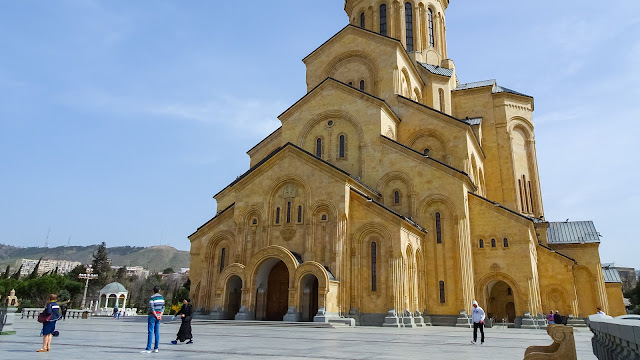 I'm glad I decided to skip Kutaisi and spend more time here, as even it stretches out far, it's pleasure to walk around. A bit confused I am, after realizing that this city is actually very nice, has cool buildings, castles and futuristic bridges. 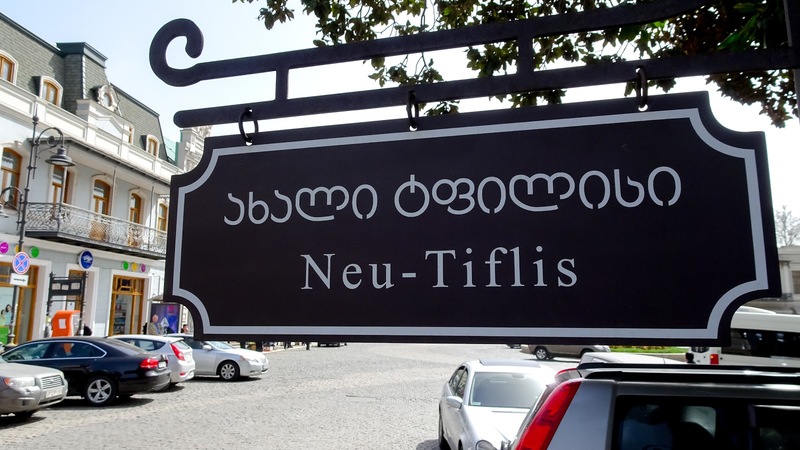 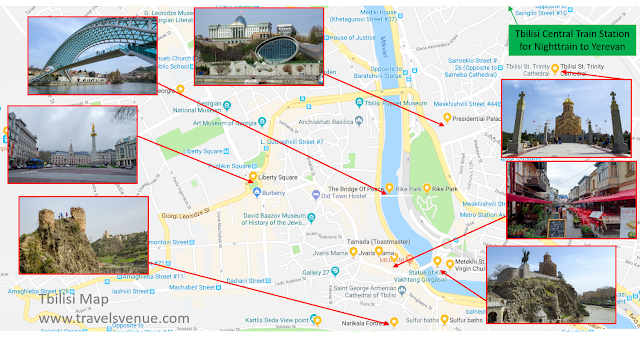 I'm confused because I don't understand why this place is so off from the travel radar among western European countries and why tourism not earlier absorbed this place. 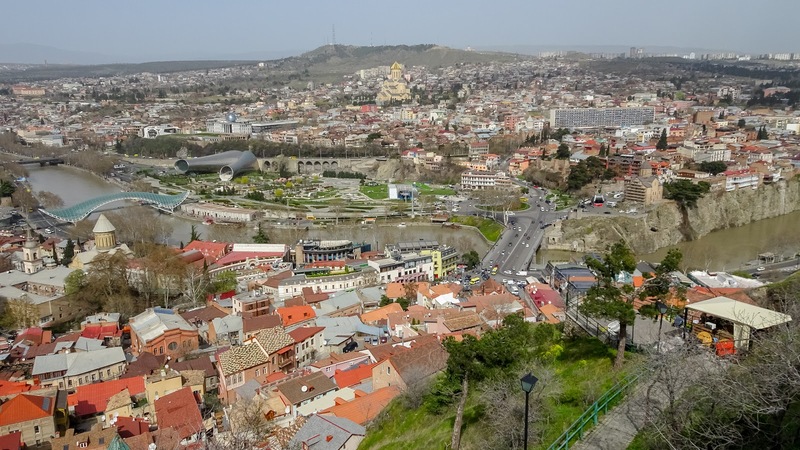 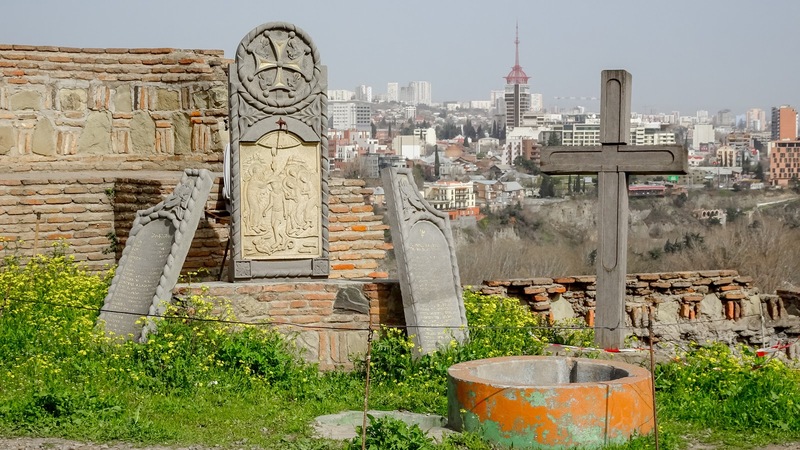 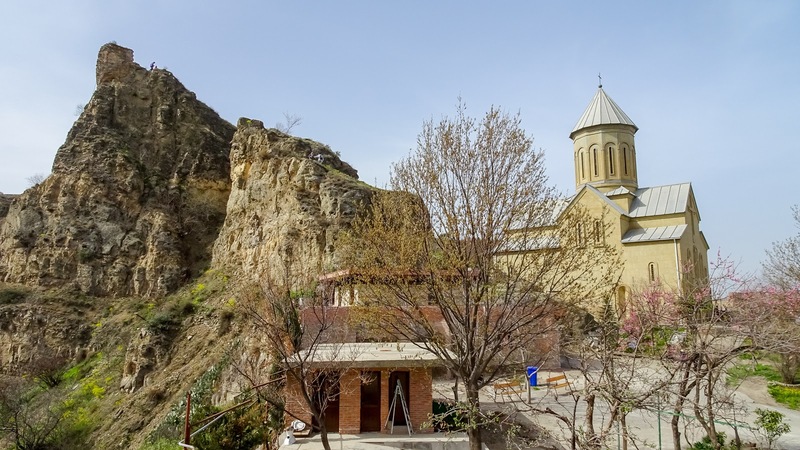 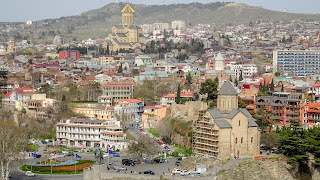 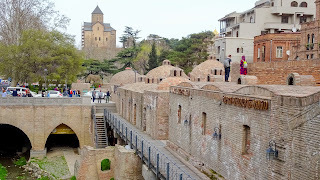 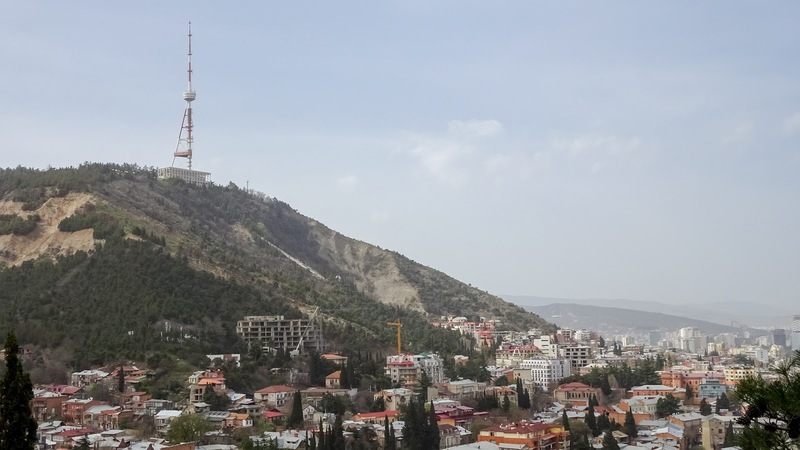 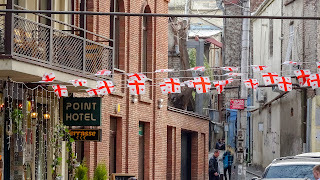 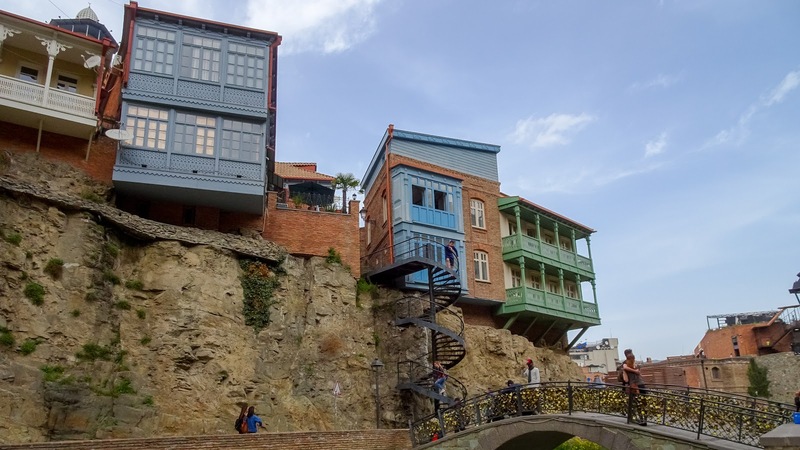 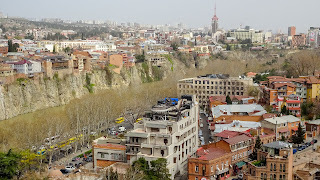 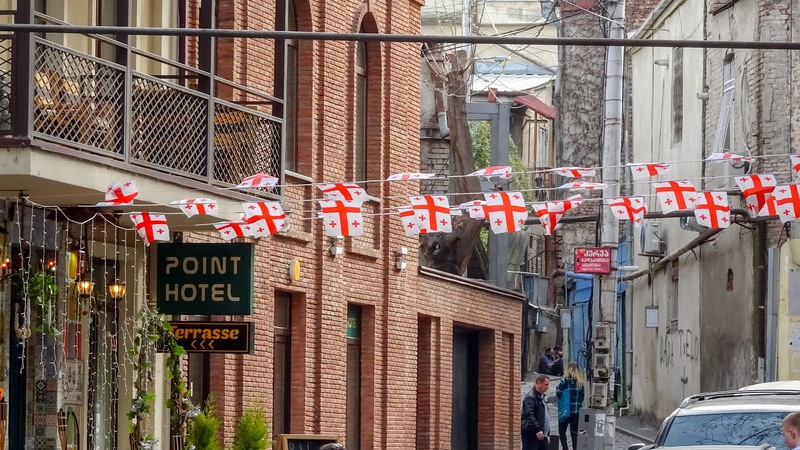 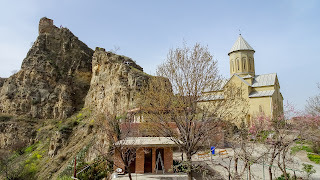 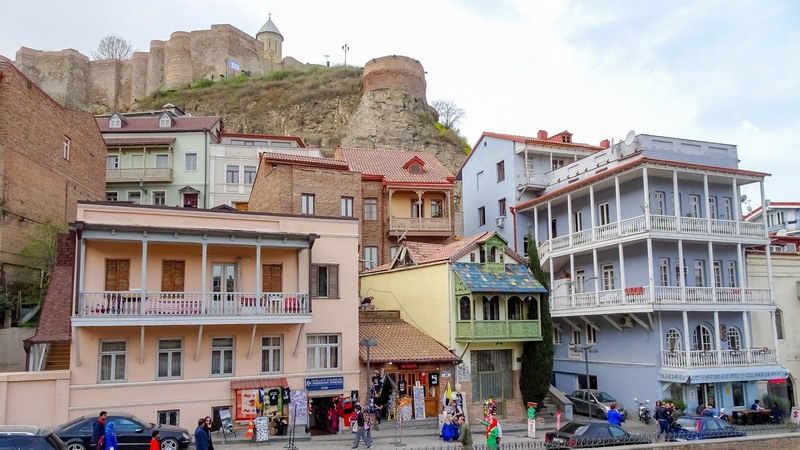 Next, to the old town, there are the Sulfur baths, a mosque and up on the mountain the famous Tbilisi Narikala fortress. Definitely a great view from up there where the castle is. In every direction there is a nice view, even when there are people having selfie sessions in the ruins some ruins. Do you want to ride the cable car? 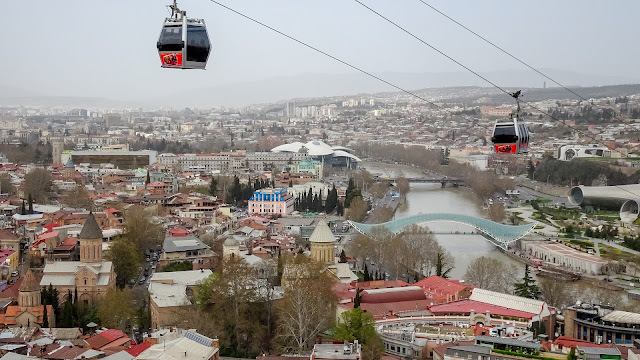 Maybe it was because of the incident in Georgian skiing area Gudauri, where one ski lift deported the passengers backward out of the ski lift into the air - people might be a bit afraid now of Georgian lifts and elevators. 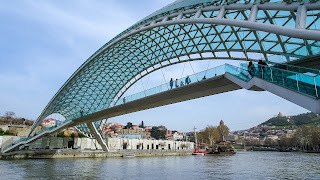 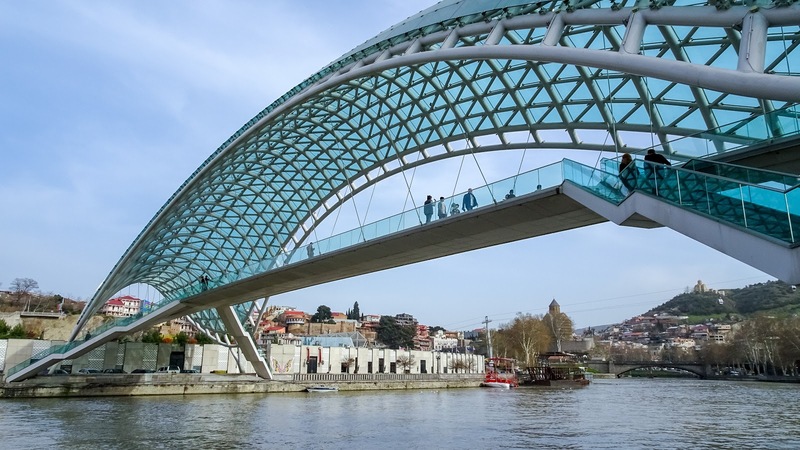 And not to forget the most futuristic bridge in the whole ex-soviet union. 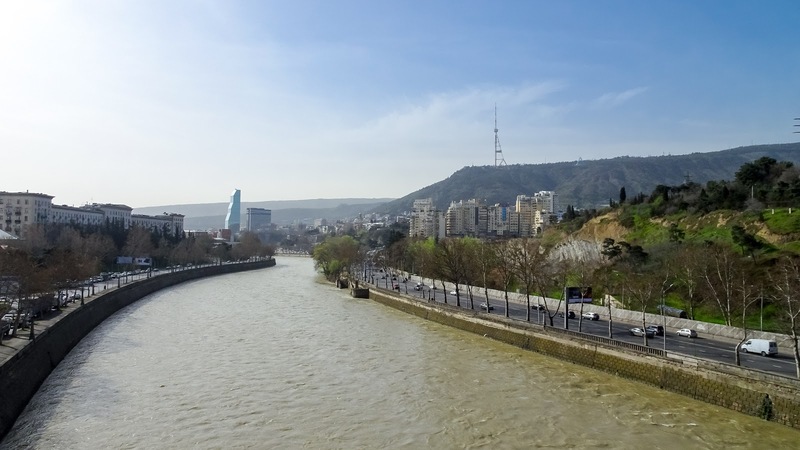 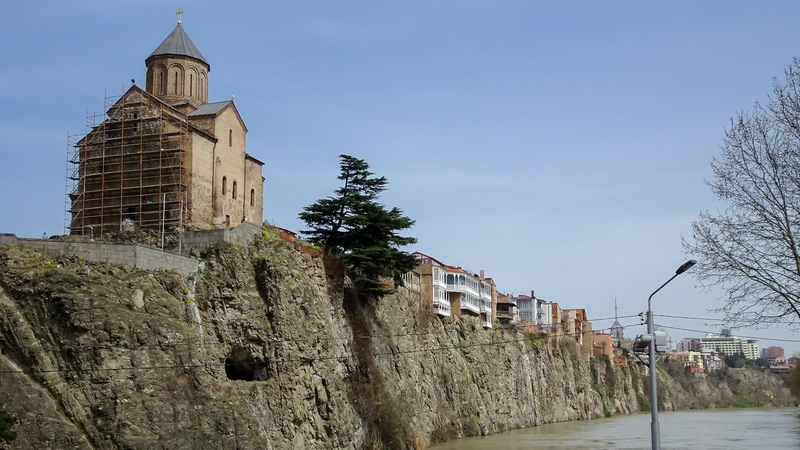 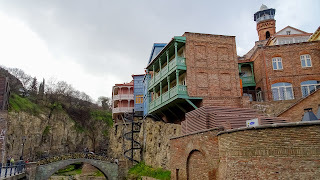 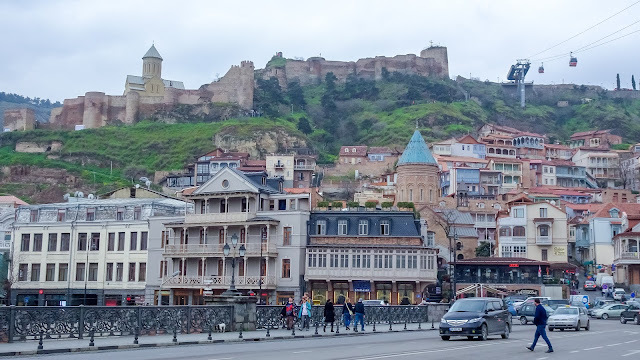 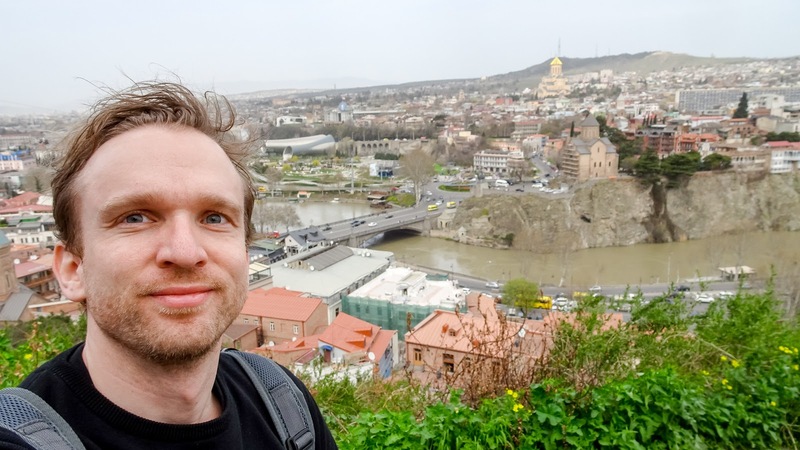 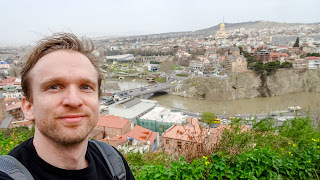 Had this whole day to continue some more sights of Tbilisi and also wanted to go on a trip outside of the city towards "Jvari Monastery of Mtskheta", which is another castle overlooking a river intersection. 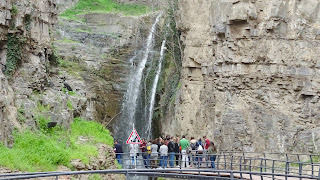 But it was raining heavily many hours and so it didn't make sense to go there for simply looking into the wet clouds. 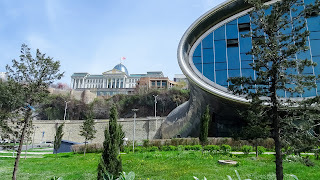 This evening I have to be at the Tbilisi central train station and ride with the overnight train towards Yerevan in Armenia.